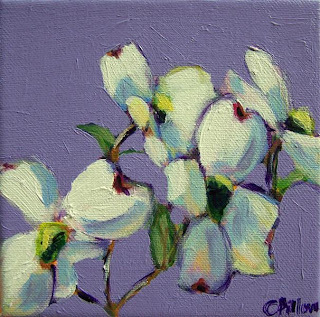 I started this painting when I did the other dogwood, but didn't finish. I finished today! Too bad the dogwoods around here are done blooming this year...sigh. I love the colours and energy of this painting.